Contest: JBL Speaker & Amazon Giftcards Giveaway! 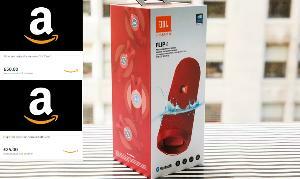 JBL Speaker & Amazon Giftcards Giveaway! What you must do to enter: Selected winners must have at least 5 valid action entries. Winners outside Europe will need to pay the shipping. Statistics: This contest was opened by 135 and entered by 13 ContestChest.com members. 10% of those who opened the contest, entered it.